Have you seen this? 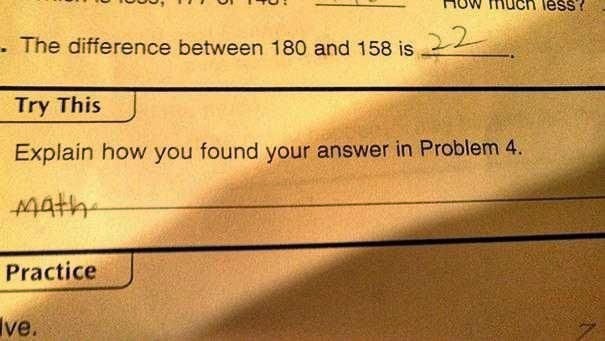 Explain how you found your answer ... math. 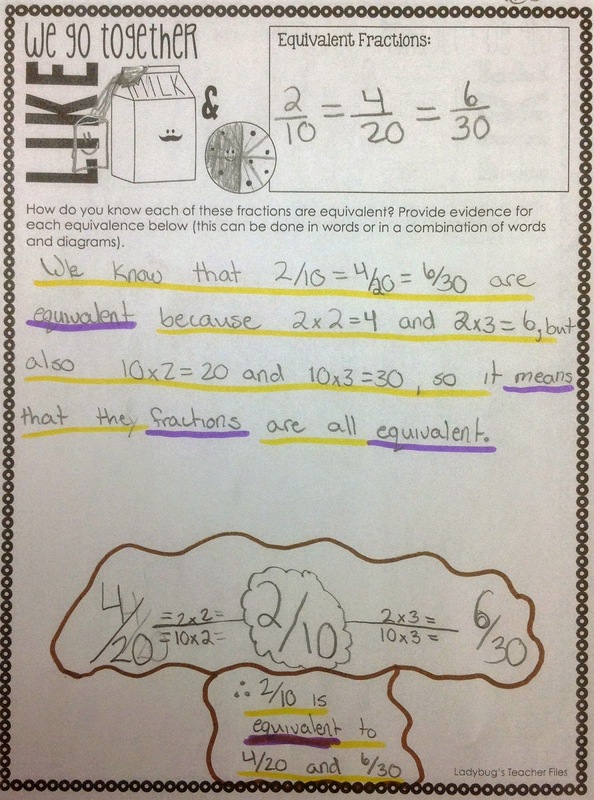 Some of my students' explanations in math have sounded like this lately. I've been getting, "I double-checked my answer", "I checked my work and chose the correct operation", and even, "I used a calculator". Ugh. And then I had an idea. My students can write pretty fabulous reader response answers, so I decided to start teaching communicating in math the same way I do communicating in reading. 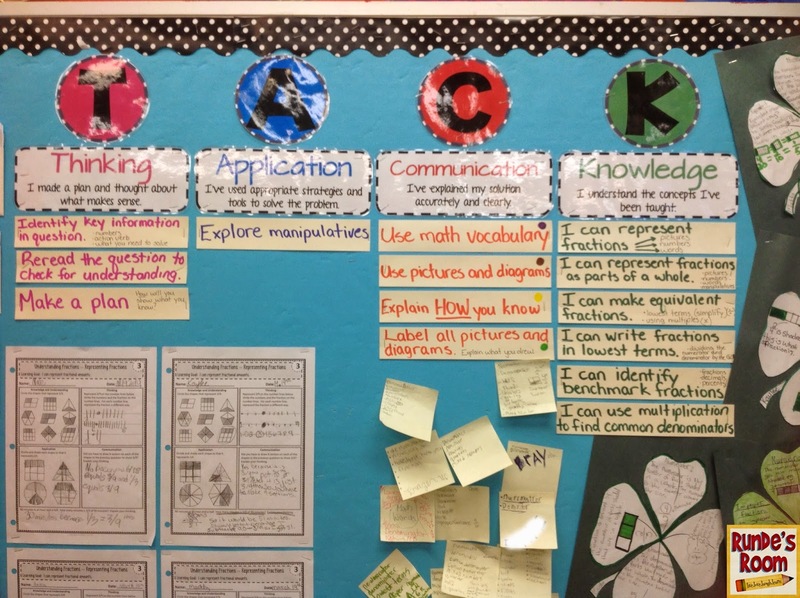 A couple of weeks ago I started using the TACK board (Thinking, Application, Communication, and Knowledge/Understanding) for our learning goals and success criteria in math. You can read a little more about it HERE. (I also included a link to download the letters and headers I made). This is what our TACK board looks like after three weeks in. 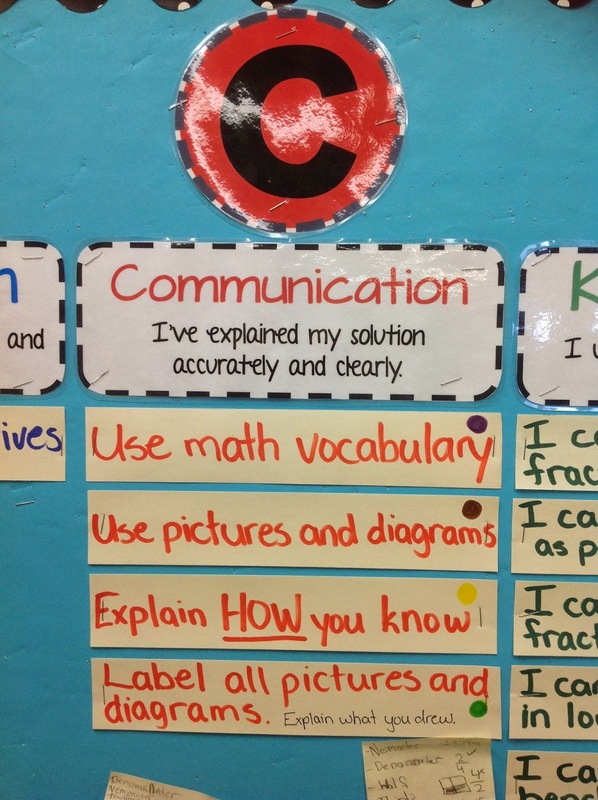 All our lesson learning goals are posted under "K", and a new goal with each new concept we learn. 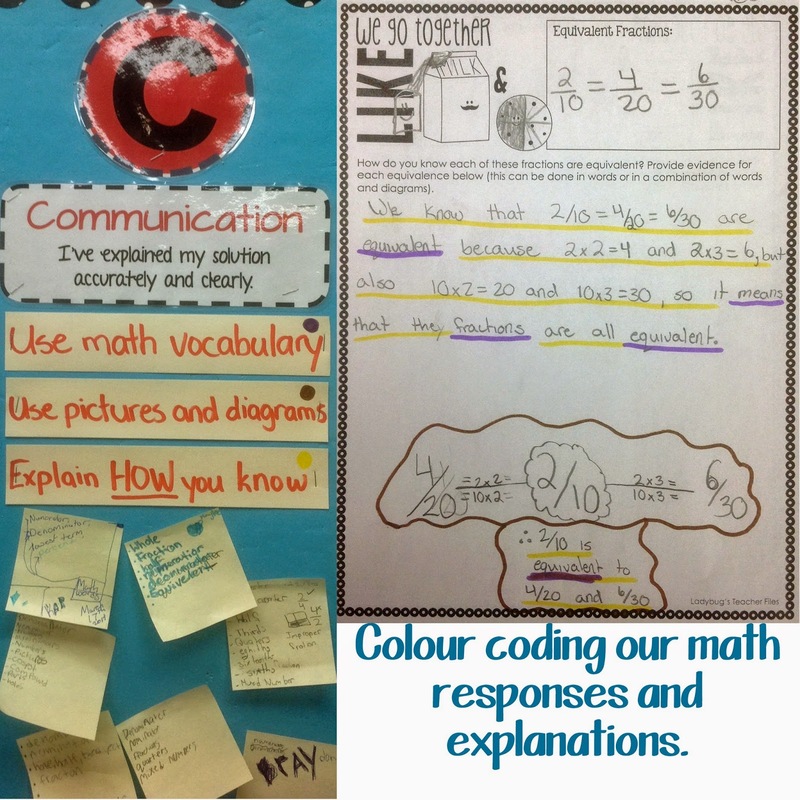 The "T" will build our success criteria for planning for problem-solving, "A" will build our success criteria for problem-solving strategies, and the "C" will build our success criteria for communicating in math. Just like our reading board, I will slowly add success criteria under the "T", "A", and "C" - adding only after we've mastered the content. The sticky notes under the "C" column are math vocabulary words the students should be including in their answers. Students can add a new sticky note each time we introduce a new term. It's still a work in progress, and will continue to be until the end of the year, but I'm excited about the progress we're making, and I can't wait to see what they'll be able to accomplish by the end of the year. I. want. to. teach. with. you. I think we could do A-MAZE-ING things...every time you post something I think "That's what we just did!" or "That's what are are about to do!" or "Shoot--I really need to do that!" Great post! What a great tip! Exactly the sort of prompts I need for the pupils in my maths class, thanks tonnes! This is just what I need for this week! I'm sending home the released state test from last year and it's all multiple choice. I've been trying to think of a good way to make them "explain" their answer choice instead of just circling it! I love this! 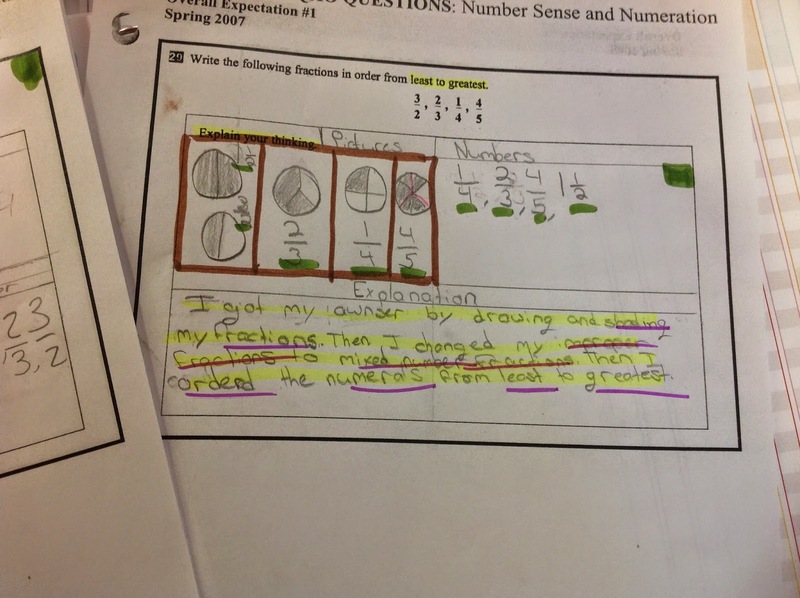 My students are getting so much better at explaining their work orally but are not transferring it into written form. I love how you have the students color code. It really makes them accountable. Oo love your craft board! I had a student respond once with "I used my brain." 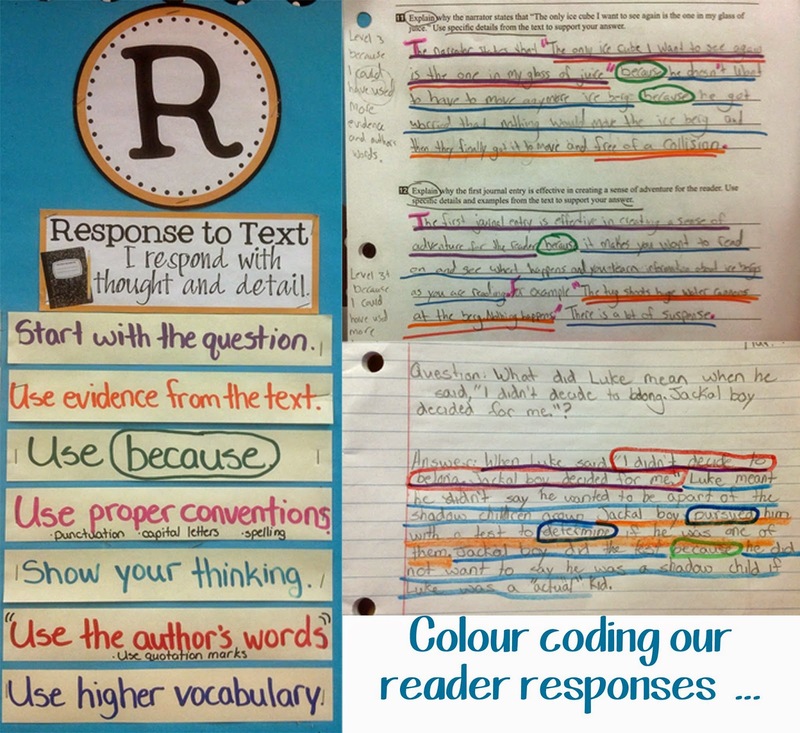 We worked a lot on responses that year!